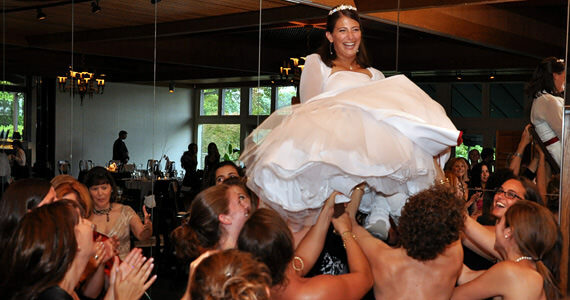 On Sunday August 16th 2009 we were at the Westmoreland Country Club located in Export Pennsylvania. 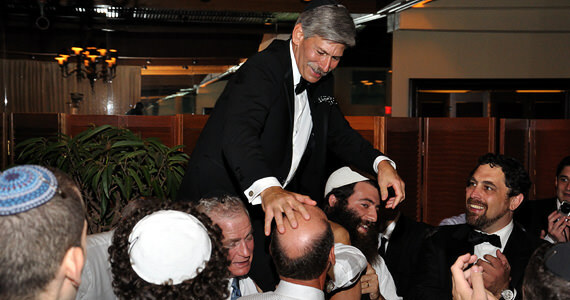 The event was a wedding ceremony and wedding reception for Marc and Shosh Silberstein. 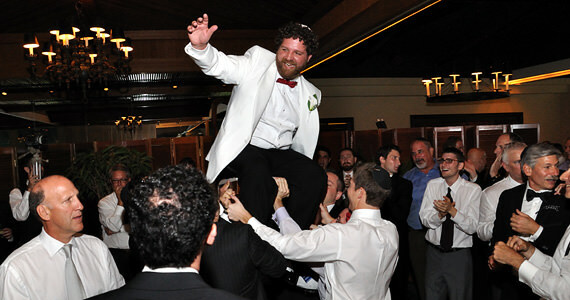 Marc and Shosh had friends and family travel from all across the United States in order to attend. 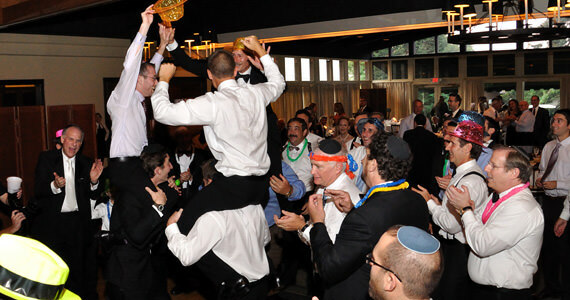 This was a Jewish wedding ceremony which included many traditions and rituals that we will explain below. 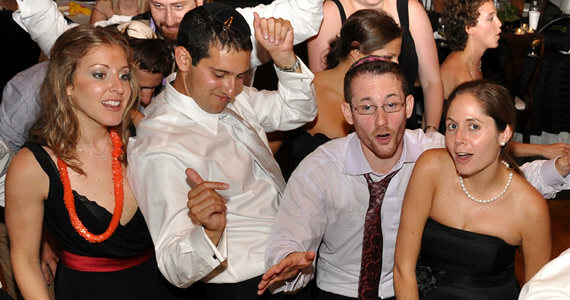 Prior to this day Marc and Shosh hadn’t seen each other for the weekend leading up to the wedding. This is done to increase their love and yearning for each other, and their subsequent joy in each other at their wedding. They saw each other for the first time during the Bedecken. Upon arrival, guests were greeted by Shosh and her attendants in the Living Room as she sat on her “throne”. Marc and his attendants were located in a separate room and guest were encouraged to offer the groom words of wisdom and prayers; this is called the Tish. In the spirit of celebration it is customary for the groom to be interrupted when he speaks, or attempts to impart wisdom. 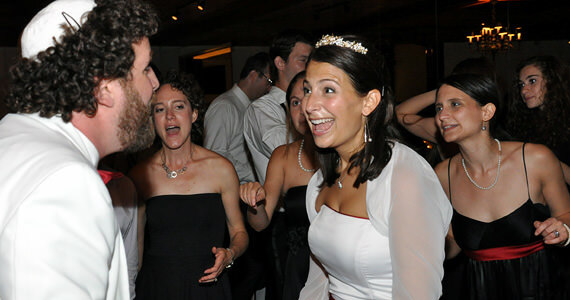 Guests are encouraged to sing silly songs, offer toasts, and in general create merriment. Also during the Tish, there were two documents signed. The first being the Tannaim or “conditions”. This is the traditional engagement document that Shosh and Marc have personalized to make it unique. The Tannaim was signed by Shosh & Marc, their parents, Rabbi Avi Poupko and 2 witnesses. 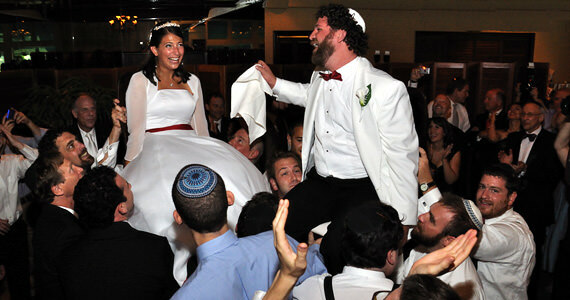 The second document is the Ketubah or “wedding contract”, a Jewish legal contract developed over 2,000 years ago. 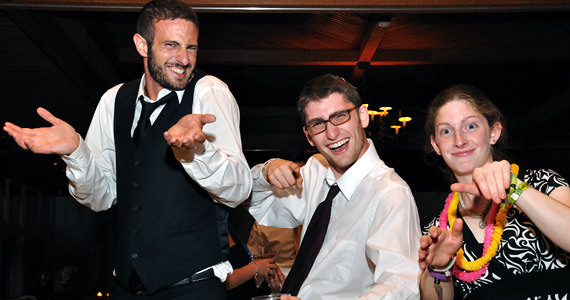 Their Ketubah was a gift from Shosh’s siblings and was designed by an Israeli artist. It carries the traditional Aramaic text and was also signed by 2 witnesses. Next was the Bedecken. 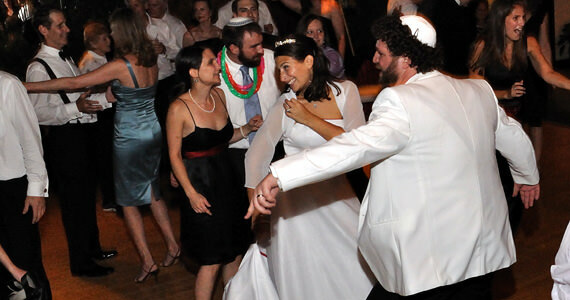 Marc was escorted into the room by song and dance where Shosh was waiting with excitement. 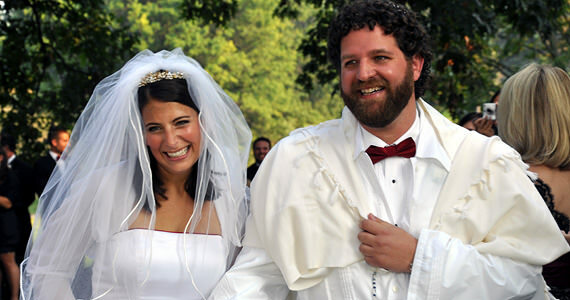 After seeing Shosh for the first time, Marc placed a veil over her face, where it would remain until the conclusion of the ceremony. The use of the veil is rooted in the biblical story of Rebecca in the Book of Genesis. The veil symbolizes the idea of modesty and conveys that however attractive physical appearances may be, the soul and character are paramount. At this point, guests were invited to take their seats outside for the wedding ceremony. Shosh and Marc’s wedding ceremony began at 5:30 pm. 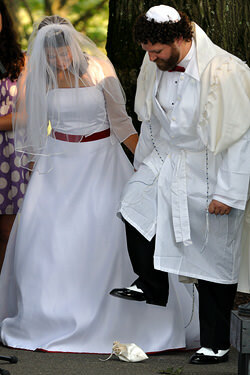 The Jewish wedding ceremony is held under a sacred space of the Chuppah or “wedding canopy”. The Chuppah is fashioned in the shape of Abraham’s tent, which stood open on all four sides as an invitation to all who passed by. The Chuppah symbolizes the desire of the bride and groom to build a home as loving and open to friends, family and community as was Abraham’s home. 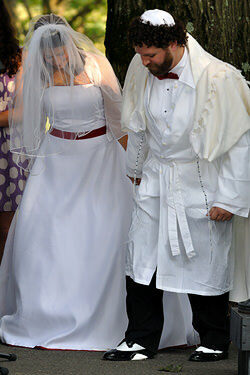 Shosh and Marc’s Chuppah was hand pieced together by Shosh’s mother Helene. Helene used handkerchiefs that belong(ed) to Shosh and Marc’s mothers, grandmothers and great grandmothers. Seven is the number of days of creation, and the wedding ceremony is the creation of a new household. Seven is the number of times the phrase “when a man takes a wife” occurs in the Bible. Seven is the number of times Joshua circled the walls of Jericho in order to bring them down, and in circling her groom, a bride brings down any wall that may remain between them. The ceremony then opened with the Kiddush, the blessing over wine. Shosh and Marc both drank wine from the same cup, sipping from the same cup is symbolic of the entwined lives the couple will share. In Jewish law a marriage becomes official when the groom gives an object of value to his bride; this is traditionally done with a plain gold ring. The second part of the ceremony consists of the recitation of the Sheva Brachot (The Seven Blessings) over a second cup of wine. These include blessings first to sanctify the day, second to honor their Creator and third to celebrate the creation of human beings. The fourth, fifth and sixth bless the couples marriage. 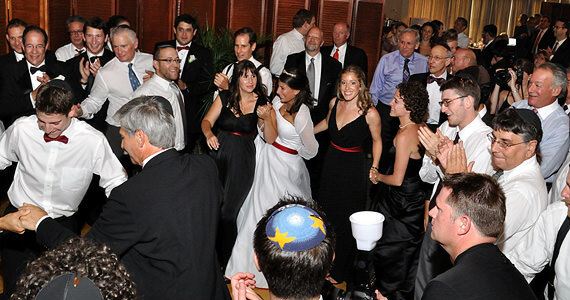 The seventh blessing is said in honor of Israel and the wedding couple. The blessings were read in both English and Hebrew. 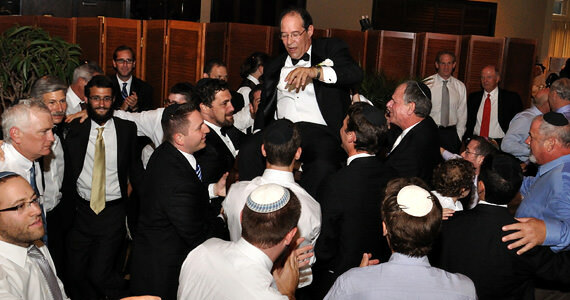 Next was probably one of the most well known customs at a Jewish Wedding; the “breaking of the glass”. This old custom is said to have many traditions with many interpretations. One of the most well known interpretations is that by breaking the glass the bride & groom are reminded of the destruction of the Temple in Jerusalem. It also reminds them that on a happy occasion, such as Marc and Shosh’s wedding day, that the world is full of less fortunate people and that it is their task to help and repair this shattered world. Immediately following the wedding ceremony Marc and Shosh adjourned to the yichud, or “seclusion” room. Here they spent a few moments alone together. 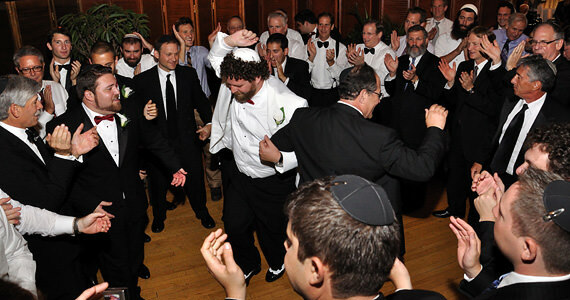 There are certain halachic authorities who maintain that the final stage of Nissuin is not finalized until the groom takes his bride to a secluded area where they spend some personal time together, so entering the yichud room together is an act which symbolizes Shosh and Marc’s newly married state. To ensure that no one interrupted their private time, Shosh and Marc had witnesses Sam Woll and Mike Stewart guard the door to the room. Guests then enjoyed cocktails and appetizers as the bridal party and parents went outside for photographs. After photos we formally introduced Marc and Shosh into the ballroom to the song “I Can’t Turn You Loose” by “The Blues Brothers”. 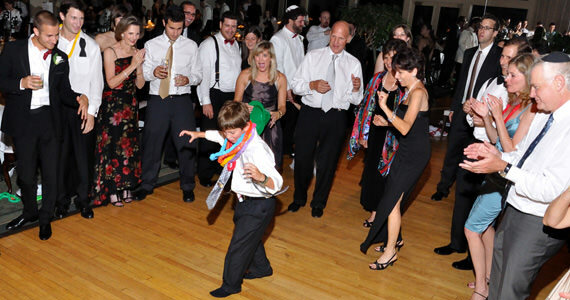 After the introduction, Marc and Shosh each went to separate sides of the dance floor which was divided in half by a Mechitza, or “partition”. Guests joined in 30 minutes of “separated” dancing with men on one side of the partition and women on the other. There is a Mitzvah, or “commandment”, to make the bride and groom happy on their wedding day, and one way this is done is through shtick. This is when guests entertain Shosh and Marc by doing unusual things, including dressing up in weird costumes, doing handstands and anything else you can think of. 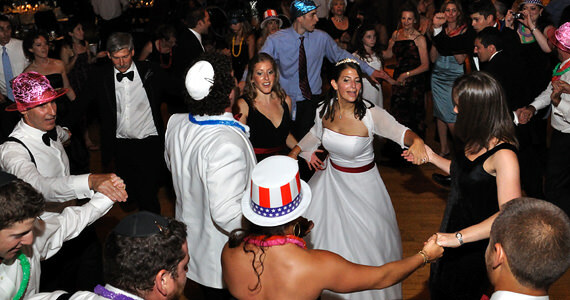 Family and friends put on different hats and other items and danced around to different music that was chosen by Marc & Shosh. Dinner was prepared by the culinary staff at the Westmoreland Country Club. Chefs cooked everything on an open grill and the food was incredible. 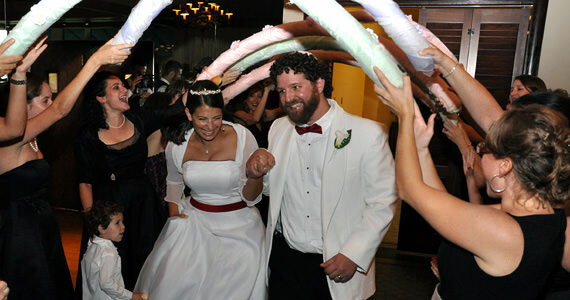 After dinner, several guests toasted Shosh and Marc, followed by the newlyweds cutting the cake to the song “Love Will Keep Us Together” by Captain and Tennille. 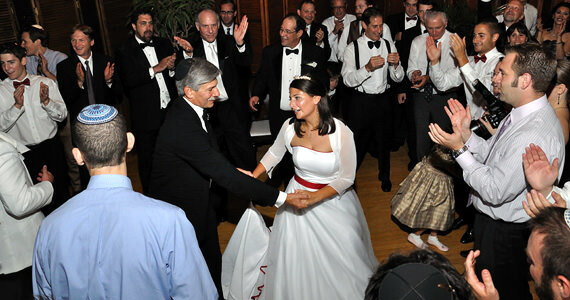 Shosh and Marc then shared in their first dance together as husband and wife. 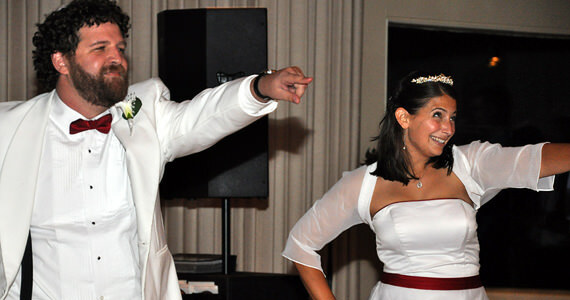 For their first dance, Marc & Shosh had me create a “mash-up” of several different songs. None of the guests knew that this was going to happen and it was hilarious. 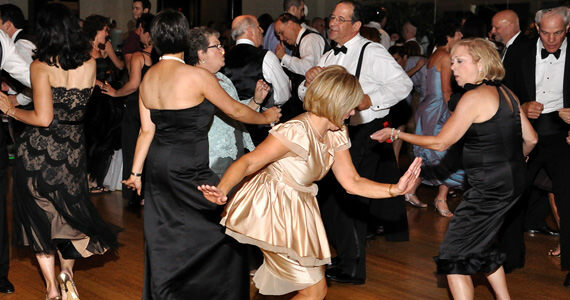 We opened up the dance floor and guests danced to songs such as “Shout” by the Otis Day& The Knights, “September” by Earth Wind & Fire and “Don’t Stop Til You Get Enough” by Michael Jackson. 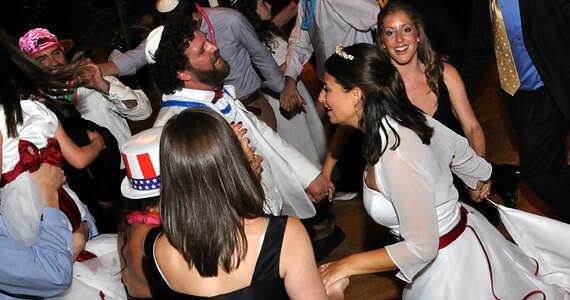 Shortly after 11:00 pm we invited Marc & Shosh to share in the last dance of the evening to “Jerusalem” by Matisyahu. 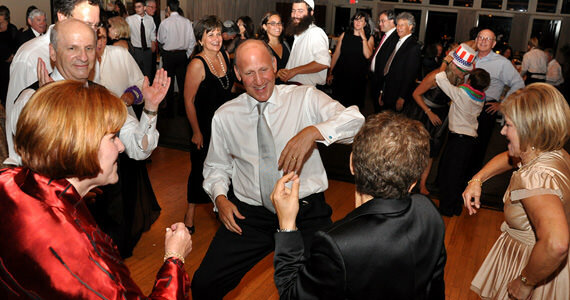 At least guests thought it was the last dance of the evening. 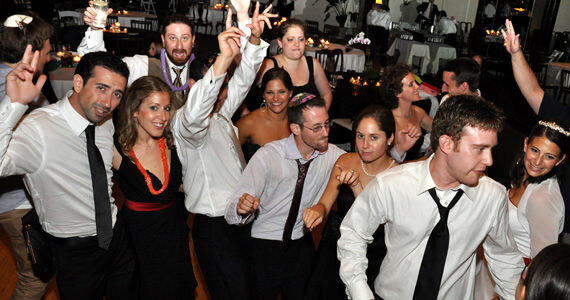 Actually, Marc & Shosh had arranged for us to DJ the “After Party”. 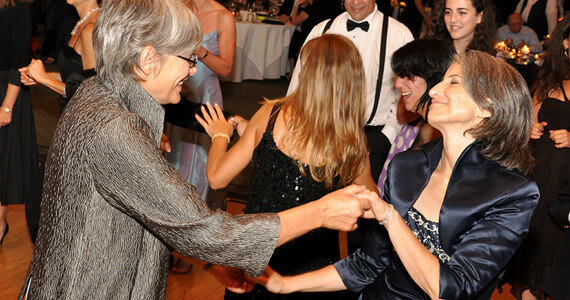 We invited anyone that wanted to remain, to join us for “club style” dancing. 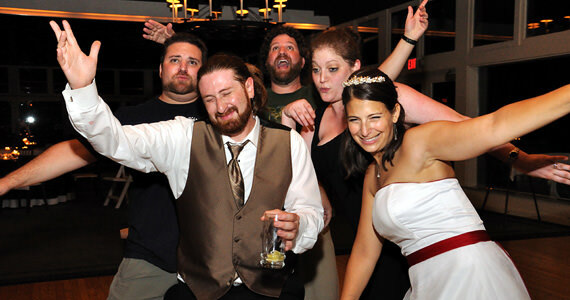 This is when the party really kicked into high gear. 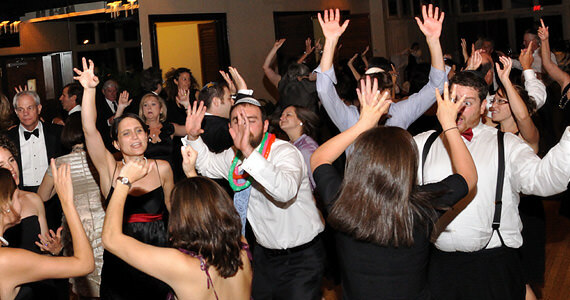 About 75 people stayed and danced until 1:00 am in the morning. I know… as your reading this you have to be thinking the same thing I was… “1:00 in the morning ON A SUNDAY??? ?” All I can say is; “They Had A Blast”.